Let the professionals from 911 Restoration assist you in keeping your home in Hazlet free from the harmful effects of water damage situations like pipe bursts, sewage spills, roof leaks, and flooding. All of these are major concerns that may be difficult to deal with on your own, but with help from our water damage Hazlet technicians, we can make sure they’re patched up and you can get the fresh start you’ve been looking for! Our team can make sure that any leak is taken care of right away. Whenever you have a water emergency, you can expect our specialists to be there within 45 minutes of your emergency call. Our water damage Hazlet team is trained and equipped to take on all kinds of water damage like roof leaks and pipe bursts. We will provide only the highest quality of repairs and restorations. So, when water needs to be cleared up right away, 911 Restoration is the company that you can always turn to. Once on site, our water damage Hazlet team will conduct a free assessment that will help us determine the best course of action to solve the problem and offer you an affordable price. Once we pinpoint the source of the problem, our licensed, insured, and bonded water damage technicians will repair and restore the affected area to make it look good as new! We will use our advanced drying equipment which will include infrared cameras and vacuums that can help us in searching for hidden moisture spots throughout your home and extract them effectively. While we inspect your home, we’ll be sure to check for any signs of fungal growth. 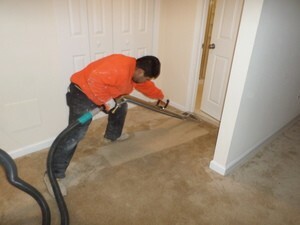 If we do detect any signs of mold infestations, we will be applying our remediation services which will remove any mold along with spores that may have been released into your home. We use industrial strength cleaning solutions to decontaminate areas affected by sewage spills. We can provide you with disaster damage restorations whenever your home is struck by storms or flooding. While we work on restoring your home, we will safeguard the rest of your belongings through our storage services. Once we’ve cleared the area and patched up the source of the leak, we can proceed with the restorations that will refurbish floors and walls to make them look good as new. Our restorations will be performed our highly trained and fully equipped IICRC certified technicians that have over 35 years of experience in the business of water damage restoration. We’re available 24/7 to help you deal with all water damage situations like roof leaks, pipe bursts, sewage backups, storm damage, washer bursts, and flooding. 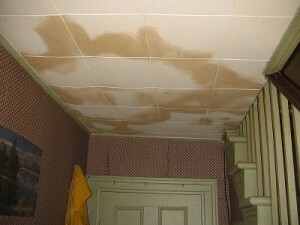 For complete solutions, give the water damage Hazlet experts from 911 Restoration a call today!